Just ahead of the weekend Samsung Vietnam published a video featuring an eye-opening array of Samsung technology. There were some familiar looking devices in the one minute video, but many things shown off look like they won't be mainstream for a number of years, if at all. 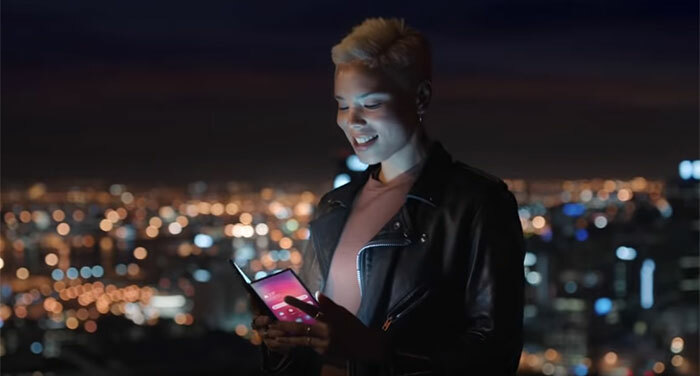 The video was mysteriously pulled on Friday, but on Saturday it re-appeared on the official Samsung YouTube channel with some blurb about how the corporation is "creating the future of technology". On the cusp of the real (Galaxy S and Note smartphones) and things-to-come (telepresence tattoo machines, smartphone ultrasound scanners etc), one device stood out - a foldable screen smartphone. Furthermore, this device featured twice in the video (24s, and 54s). It is expected that Samsung will launch its foldable Galaxy F smartphone ahead of MWC, later this month. The company strongly hinted at such an event being central to its Unpacked 2019 event on 20th Feb. However, the 'Infinity Flex' foldable smartphone we saw on-stage at the SDC San Francisco, in November, would require rather a lot of finessing to morph into the foldable in the 'Samsung Galaxy: The Future' video. The big difference between reality and the future vision in the video is probably why Engadget reckons that the foldable shown above is "more render than reality". Like several other technologies shown in the video, it appears to be a near-future application and a refinement of things we have now. 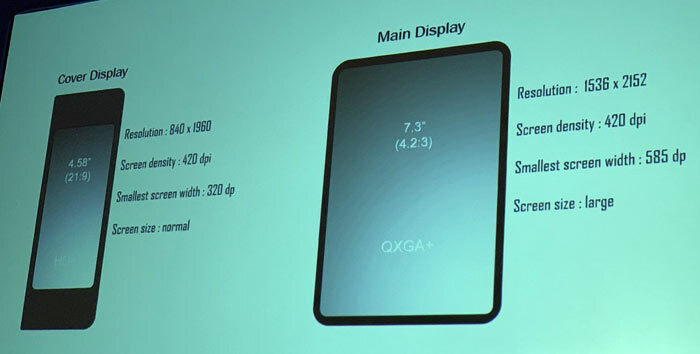 Another observation about the foldable in the teaser is that the outer screen stays on when the device is opened up - but that could be an unfolding threshold setting, or similar, in action. The Samsung Galaxy Unpacked 2019 event takes place on Wednesday, 20th Feb, in San Francisco. Due to time differences, that means we might not see/hear about the core announcements until about midnight or the following day, GMT time. Ya know… I'm starting to think it won't ever. They've been showing this stuff off at every future tech expo for the last few years and it's still only shown in concept stage.